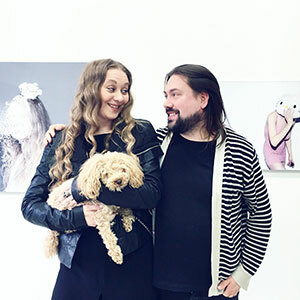 Finnish Spirit was founded in 2018 as an extensive introduction to the Finnish art field through an indefinite passion for art and its present day. 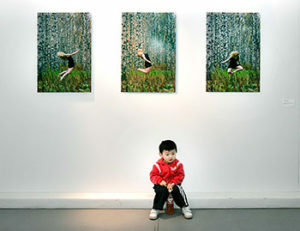 It is a wish to highlight multidimensional views of the world through varying artists and their visions. Cada día un fotógrafo / Fotógrafos en la red published a article about my work (in Spanish). 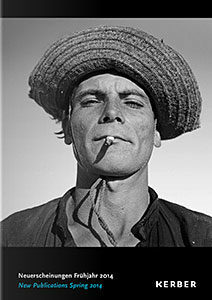 Alfred Kordelin Foundation for a working grant! 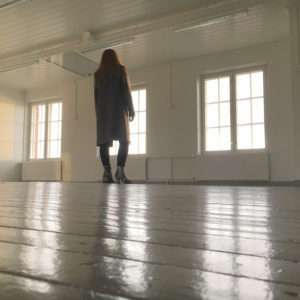 The Arts Promotion Centre Finland / Arts Council of Oulu Province for a working grant! Oulun Valistustalon rahasto for a working grant! 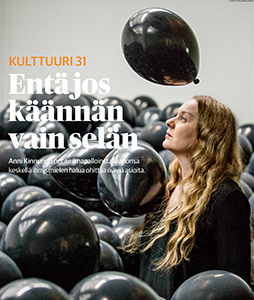 Kaleva published a review of The Great Escape exhibition in Oulu Museum of Art. Tervetuloa sunnuntaina 29.4. kuulemaan näyttelystäni klo 14-15! 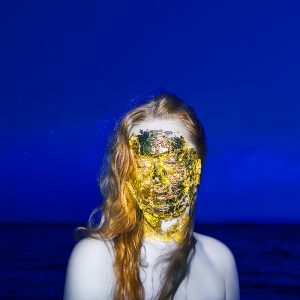 MÄNTTÄ ART FESTIVAL LIST OF ARTISTS IS PUBLISHED! 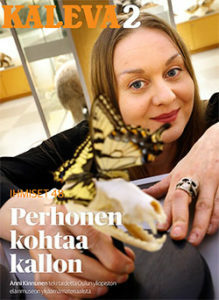 Newspaper Kaleva visited my Butterfly Effect exhibition in Zoological Museum. The Signature exhibition at Habitare brings together design and contemporary art. 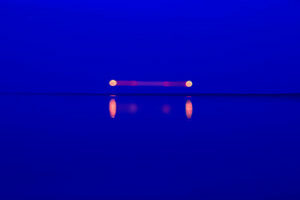 Well-known architects and designers have chosen some of their favourite contemporary art for the show. 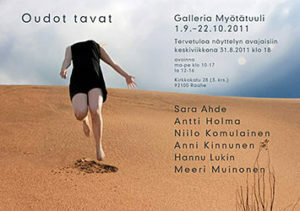 ARTag Gallery exhibition is curated by Heini Riitahuhta. 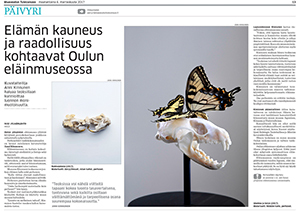 Kaleva published a review of the Odd Familiar exhibition in Mustasaari gallery. 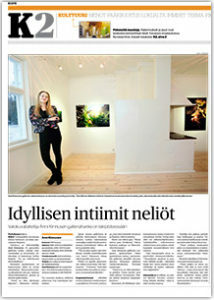 Newspaper Kaleva visited my exhibition in Mustasaari Gallery. 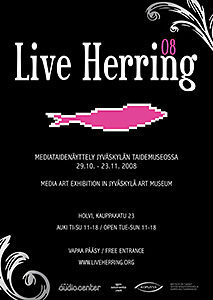 My works are presented in this exhibition, which is curated by Marketta Haila from the Finnish State Art collection. 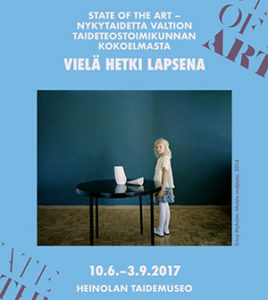 Art Fair Suomi 2017 - International Contemporary Art Festival gathers altogether 1000 works of contemporary art from performance and photography to installations and sound art in Kaapelitehdas 25.-28.5.2017. Finnish interior magazine Avotakka published a story about the renovation of an old villa and a little bit about my work as an artist. Veikko Halmetoja, ARTag team and all who visited the opening reception! 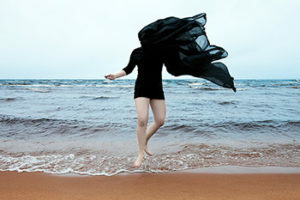 Finnish Cultural Foundation's Hilja Aukimaa Fund for a project grant! 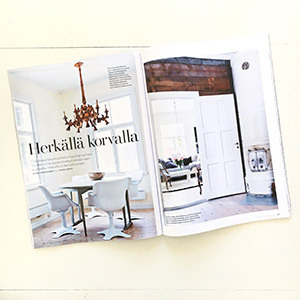 Finnish interior design magazine Avotakka visited my home and gallery space. 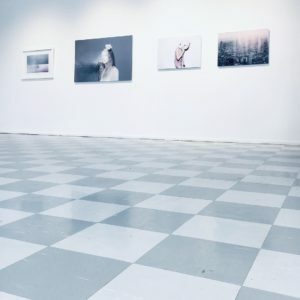 Arts Promotion Centre Finland for a one year working grant! 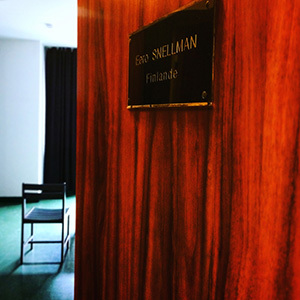 Thank you: Finnish Cité Internationale des Arts Foundation for the opportunity to work in Cité Internationale des Arts in Paris in July 2016. Arts Council of Finland for the Public Display Grant for Visual Artists! Oulun valistustalon rahasto for a project grant! 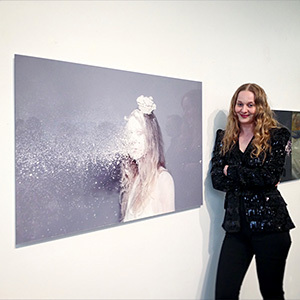 I am one of the artists featured in the Haihara Art Centre's 10th anniversary exhibition. Thank you, Väinö Tanner foundation for the artist residency in Mazzano Romano. 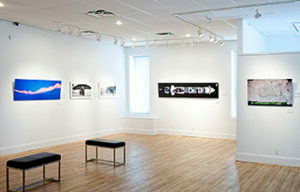 The VISEK Centre for the Promotion of Visual Art awarded a grant for an upcoming project. 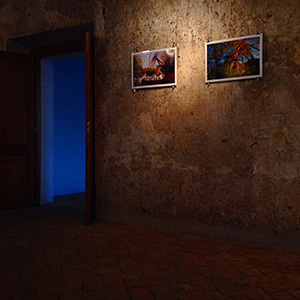 Solo exhibition in Palazzo Baronale in the historical centre of Calcata 8.-27.2.2016. 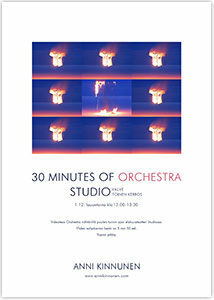 Opening reception on Saturday 13.2. at 16-18, welcome! Thank you for coming to my opening reception and for the discussions we had! Odd Familiar - Japan -collection is presented for the first time in Finland in The Snowball Effect 3, curated by Veikko Halmetoja. The Snowball Effect 3 on the Museums of Sea Laplands web page (in Finnish). The Snowball Effect 3 on Facebook (in Finnish). 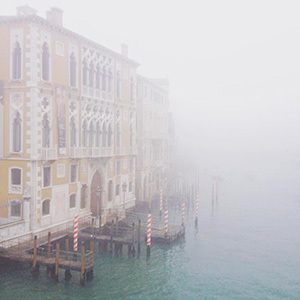 I was working the whole December in Venice, Italy. Thank you Arts Promotion Centre Finland's Arts Council of Satakunta for the opportunity to work November in Berlin, Germany. 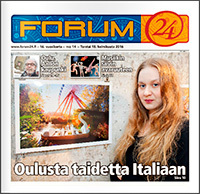 Oulun Taiteilijaseuran taidemyyntitapahtuma 30.9.-4.10.2015. Mukana muutama syanotypia. A few new works are presented at the international art fair that will take place from 17th to 20th September at the Cable Factory in Helsinki. 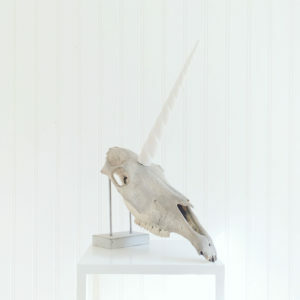 New works available at ARTag Gallery, Helsinki. 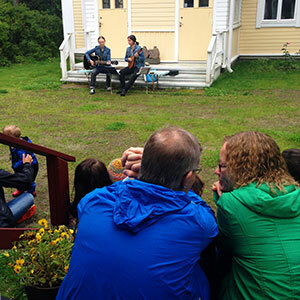 Hietasaari Art Summer went nicely, thank you for visiting and thanks to Duo Rätvänä for your lovely concert by the porch! 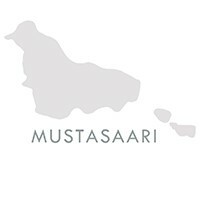 Mustasaari gallery is open 8.8.2015 when Hietasaari Art Summer is happening in our loved island. Black Island Gallery is now open! Welcome! 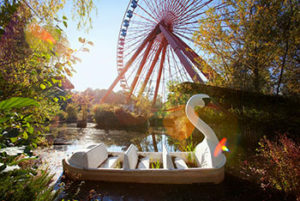 In 2016 I am working for a few months in Paris, France. Thank you for the opportunity, La Fondation finlandaise de la Cité des Arts de Paris! The Finnish Broadcasting Company Yle broadcasted a radio interview on Monday 16.3. 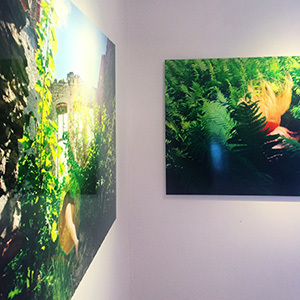 Thank you to all who have visited the exhibition and opening reception (and natto afterparty)! I visited Art Space Yosuga in Kyoto 23.-25.3. Highly recommended for artist fellows who are planning to work in Kyoto. Thank you for your hospitality! 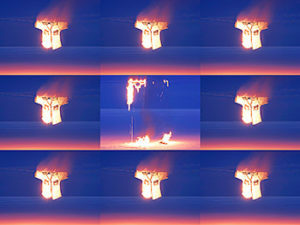 Arigato gozaimasu Youkobo Art Space and government of Japan's Agency for Cultural Affairs! Medusas swimming in a garden. 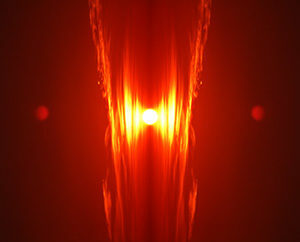 Video by me, sounds by Momoi Elementary School art workshop children with Riku Seilonen. 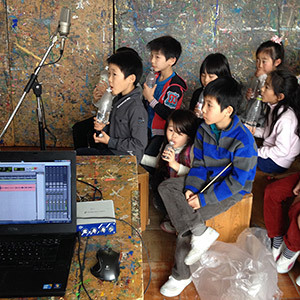 Here is a picture from the children's sound art workshop with Riku Seilonen in Tokyo. Together we made medusa sounds for my video work, so thank you kids - we had a lot of fun! Online photography magazine SMBHmag is celebrating Saint Valentine’s Day 2015 with lost loves, broken hearts and singlehood with an online exhibition. Curated by Barry W Hughes. I am working in Tokyo, Japan at Youkobo Art Space in February and March. City of Oulu for the project grant for the year 2015. My home town is planning to ruin the nature in Hietasaari island by building an amusement park there instead. 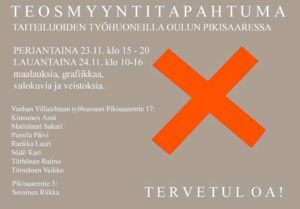 I invite all those who are against these plans to take pictures and post them in Instagram and Facebook with the hashtag #eihuvipuistoahietasaareen (“no amusement park to Hietasaari”). 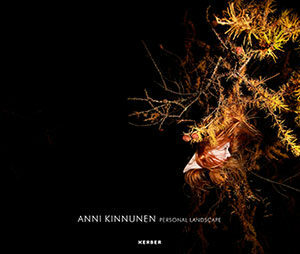 Contemporary art, exhibitions, good feelings and praise for the nature in Hietasaari. 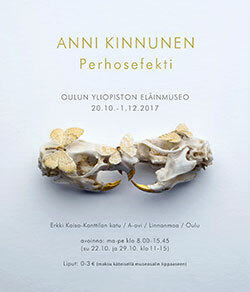 Gallery is founded in 2013 after a few years of renovation and it is owned by artist Anni Kinnunen. Mustasaari is a located in the middle of area we know nowadays as Hietasaari, but actually the area used to consist of three islands: Toppilansaari, Mustasaari and Hietasaari. Mustasaari is separated from Hietasaari by Mustasalmi. Area used to be full of life and villas. Our place is one of the few old villas which have survived. 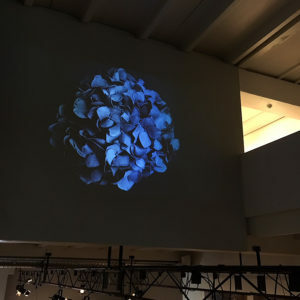 Veikko Halmetoja, Artistic Director of ARTag Gallery, has an extensive experience as an art critic – he personally selects not just the artists but also each artwork for the gallery. 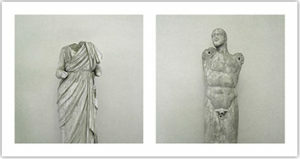 Therefore customers can trust that the artworks they buy are one of the most important works from our artists. Kerber Verlag is presenting their art books in Frankfurt. 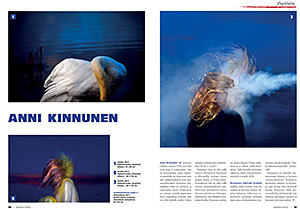 The Union of Artist Photographers are presenting books in Tallinn and Frankfurt. In 2015 I'll be working for a few months in Youkobo Art Space in Tokyo, Japan. "What is the place and role of an animal, and what do cats and dogs symbolize? 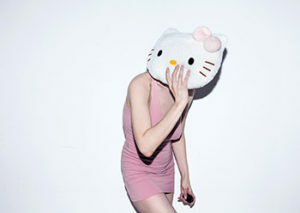 An animal domesticated by humans is always, at least to some degree, an image of the human itself – in both good and bad." In this exhibition is my new series about the domestication of the wolf to dog and to a product made by human. 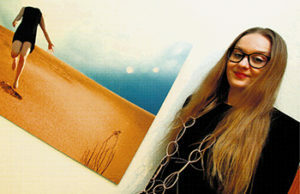 The exhibition is curated by Elina Vieru. 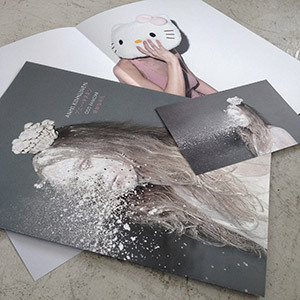 The book is also available all over the world from stores that sell Kerber Verlag books. 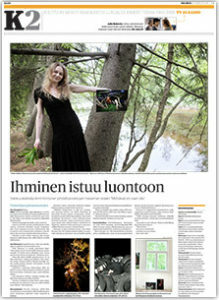 I'm featured in the newspaper Kaleva's midsummer article (in Finnish). 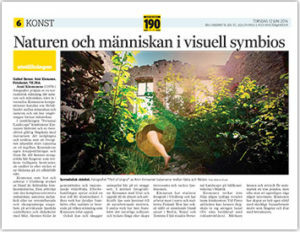 Newspaper Åbo Underrättelser published an article about the Personal Landscape exhibition (in Swedish). 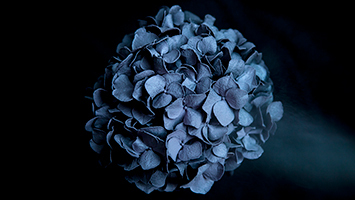 I am one of the selected artists of The Snowball Effect in Rovaniemi. The exhibition is curated by MA Laura Köönikkä. 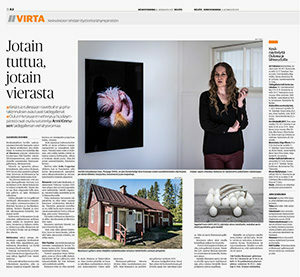 Newspaper Turun Sanomat published an article about Personal Landscape in Gallery Berner (in Finnish). Welcome to the opening 29.5.2014 at 17-19. 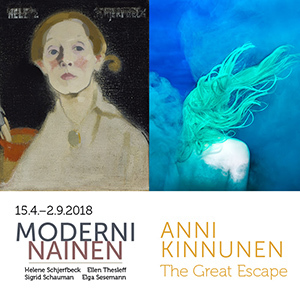 Arts Promotion Centre Finland's National Council for Photographic Art for project grant for the year 2014 and the Regional Office of Northern Ostrobothnia and Kainuu for one year working grant! 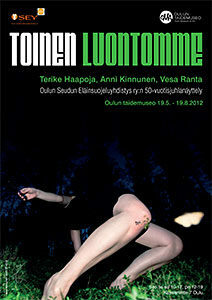 This exhibition is kindly supported by Frame Visual Art Finland. Thank you! 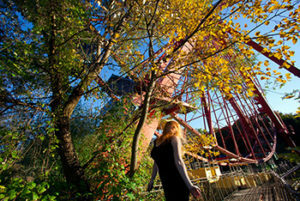 Online magazine and international arts organization Lens Culture published my series Personal Landscape. A house collapsed in Matera and artists have organized an exhibition and an auction for the people who lost their homes. 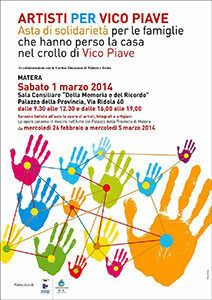 The Vico Piave exhibition is open 26.2.-5.3.2014 at Palazzo della Provincia in Matera. 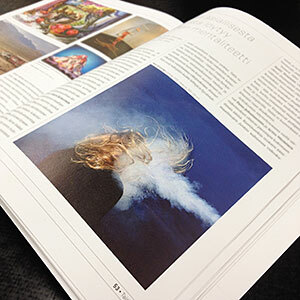 One of my works and the book Personal Landscape is included in the charity auction 1.3.2014. 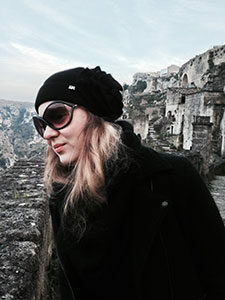 I am working in the Arts Promotion Centre Finland's artist residence in Matera, Italy. 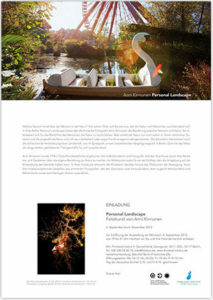 Kerber Verlag Photo Art published a book about the series Personal Landscape. 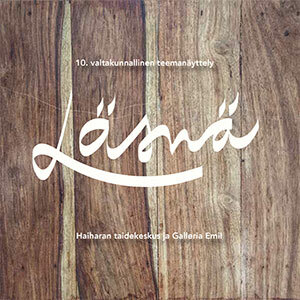 The book received support from Patricia Seppälä foundation, City of oulu, National Council for fotographic Art of Finland and Gallery Harmaja. 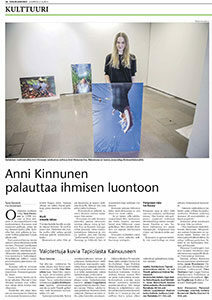 Newspaper Kaleva published an article about the gallery (in Finnish). 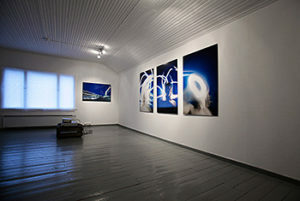 Old baking room from the first half of 20th century is transformed into an art gallery in Oulu, Finland. We celebrated the Personal Landscape book publishing 30.11.2013 and had our first exhibition 1.-8.12.2013. Thank you for visiting, we had a blast! I am sorry that some of the time the video work outside was frozen and out of order. 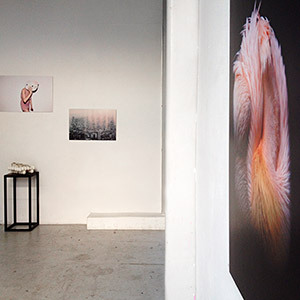 The Finnish Institute, Berlin, from 5th September to 6th November 2013. Welcome to the opening, 4th of September at 19-21. 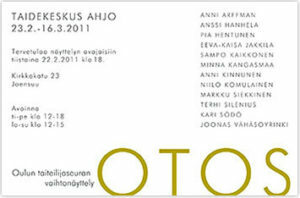 I am one of the artists featured in the Mänttä Art Festivals 20th anniversary exhibition. 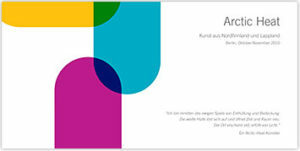 My work Unhola (2013) is presented in the invitation. 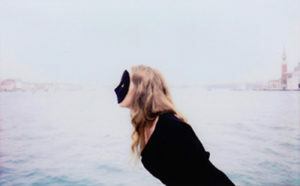 "The theme of the exhibition of four Finnish female photographers – Mari Hokkanen, Anni Kinnunen, Kati Leinonen and Susanna Majuri is magic and dreams. 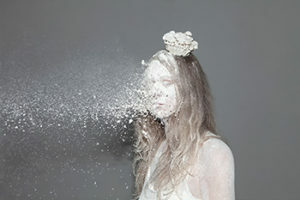 Together their images create a fairy tale of an imaginary magical world, where the laws of everyday life do not exist." 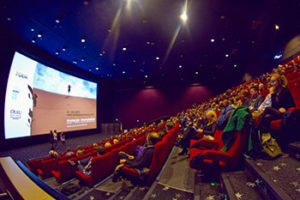 My works are presented at the "Nordisk Panorama 2012 – 5 Cities Film Festival" in Oulu, Finland. 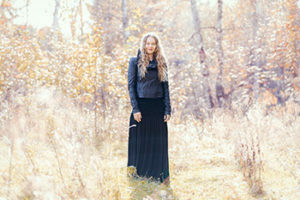 I also have an exhibition, "Nordisk Landscape" during the festival in the legendary music and drink bar Never Grow Old. "Desert" at the movie theater Plaza. Photograph: Tuua Savuoja. I am selected for Earth / Body / Mind, the second Kathmandu International Art Festival in Nepal November 25th to December 21st. 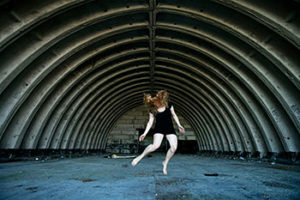 In the festival I will be exhibiting photographs from the series Personal Landscape. 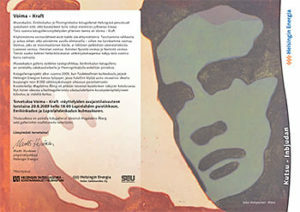 I am selected to the Kemi Museum of Art’s PolArt2K – 21st century political art exhibition with my work The Great Escape. I will be participating in the The Snowball Effect - The North Finland Biennial in Oulu Museum of Art curated by Marketta Seppälä. 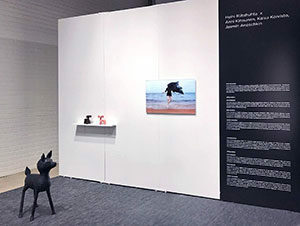 The 50th anniversary exhibition of the Oulu Region Humane Society will be on show at the museum's Satula room. 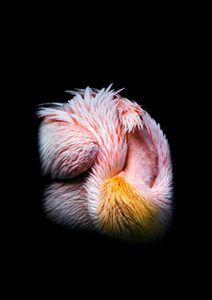 Each of the three invited artists approaches the interests of nature, animals and people from their own perspectives. 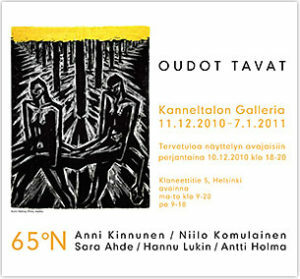 Group exhibition in Gallery Myötätuuli, Raahe, Finland 1.9.-22.10.2011. 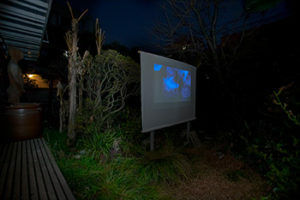 In the invitation is my work Wasteland (2010). 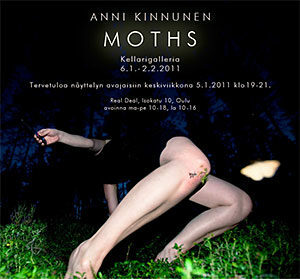 The triptych Moths was presented in the exhibition. 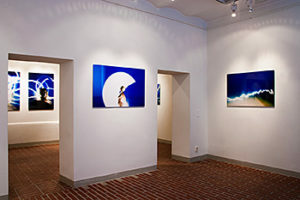 I am one of the selected artists in the Arctic Heat exhibition in Berlin, Germany. 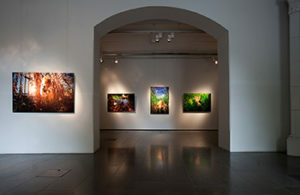 My works are presented in the Finnland-Institut gallery. 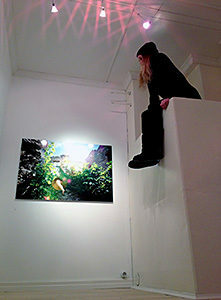 I was also responsible for the installation of the exhibition. 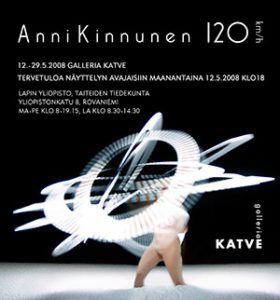 The 114th Annual Exhibition of Finnish Artists "Youth 2009"
STREET GALLERIES 2009 OPENED 20.8. 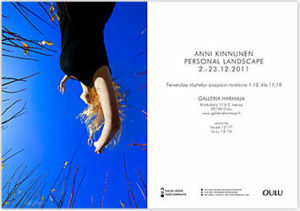 My works were in Eerikinkatu, Helsinki, Finland for the year 2009. 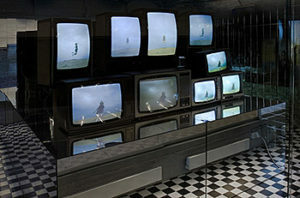 Gravity is made of nine recycled CRT televisions and nine animated still pictures. I got my inspiration for this work from the mirrored space with a black and white floor. 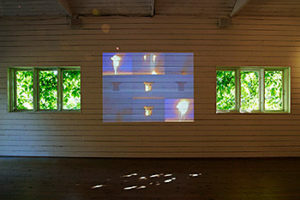 The space was originally made for Alvar Gullichsen's Bonk-artwork “Huikea kvanttihyppy”. 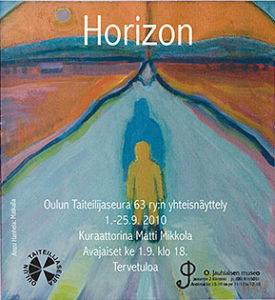 Cultural television program Pixel chose Orchestra as the video of the week and aired it in the show 18.3.2009. 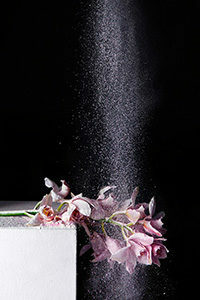 I am the cover artist for the first issue of 2009. 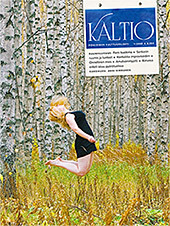 Woman's studies magazine published my series 120 km/h in issue 1/2008 (Hiljaiset naiset / Outoa oopperaa). 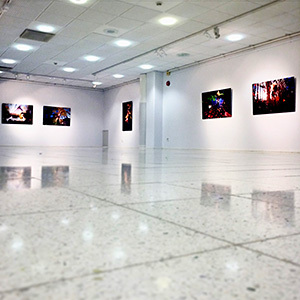 Oulu University of Applied Sciences' students group exhibition in the library's gallery space.